Skyline Series — Sylvanix Outdoor Products Inc. 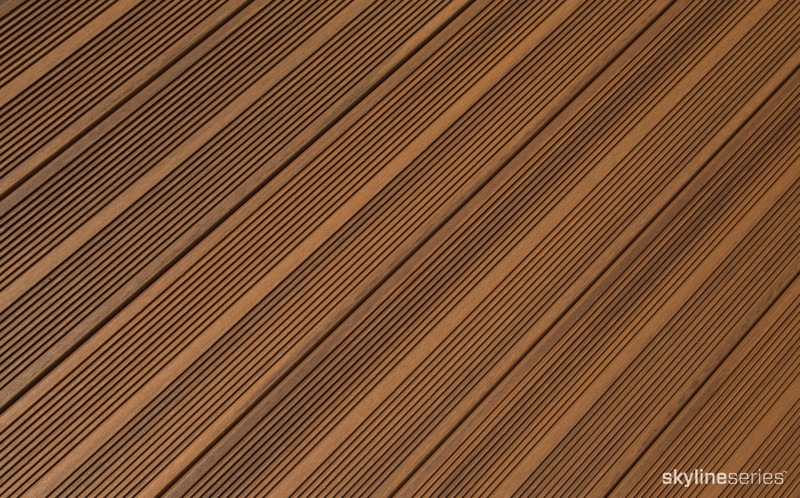 WHETHER YOU CHOOSE THE Dramatic streaking OF GRAPHITE OR THE WARM WOOD TONES OF TEAK, SKYLINE SERIES DECKING OFFERS FOUR side capped protection BACKED BY A 25 YEAR LIMITED WARRANTY. Square edge Skyline Series deck boards are are 5.31” x 0.94” and are available in 20’ lengths. 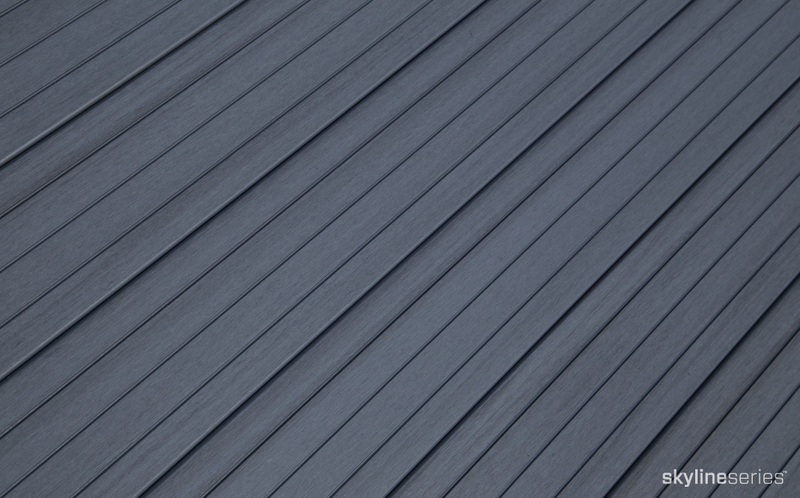 Grooved edge deck boards are 5.31” x 0.94” and are available in 12’, 16’, and 20’ lengths. Risers are 7.24” x 0.71” and fascia deck boards are 11.26” x 0.71”. Both are available in 12” lengths. 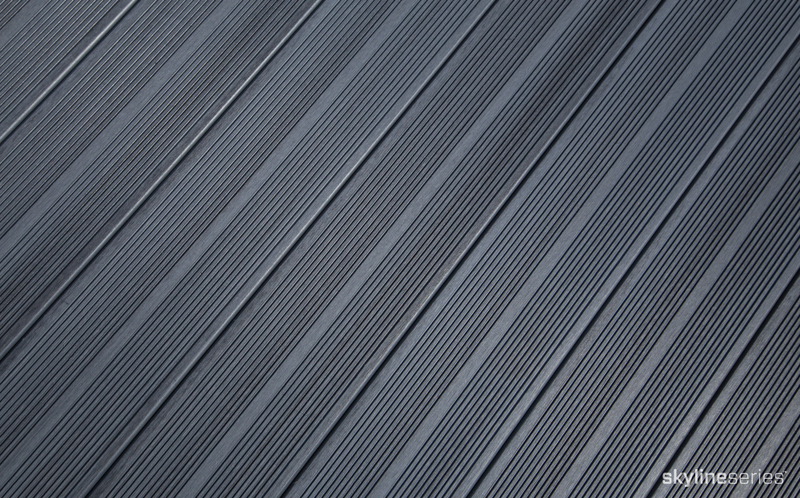 Sylvanix Skyline grooved decking is compatible with most hidden fastening systems designed for use with composite decking. Sylvanix recommends stainless steel composite screws for all face fastening applications.